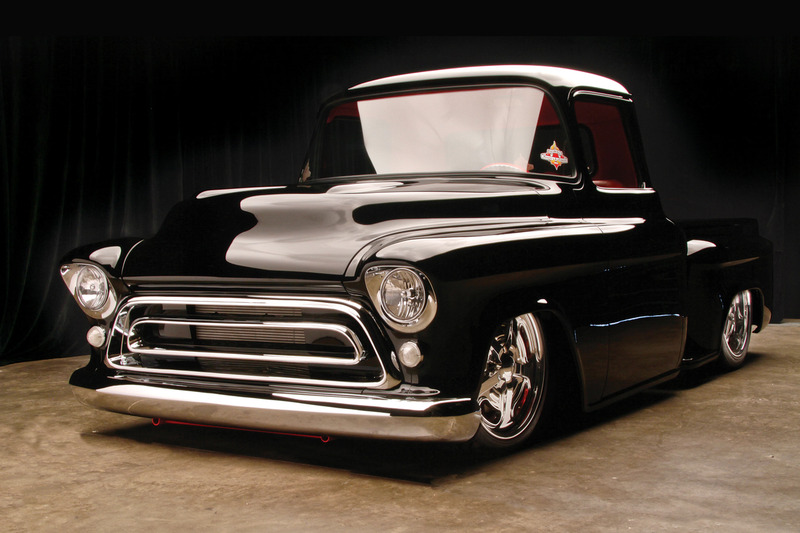 It took 7,000 man-hours and thousands of one-off hand-crafted parts to build this 1957 Chevrolet C-6 Custom Pickup, which sold for $148,500 in Las Vegas in 2011. This truck comes with a 402cid LS3 motor, a complete Corvette C6 suspension and drivetrain with a six-speed transaxle and a full Air Ride suspension. The truck won a GM Design award at SEMA 2009 and a Mothers Choice Award at SEMA 2010.